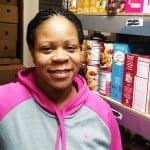 Amazing Grace Food Pantry steadily increases the number of low income families served. Last week 218 families received nutritional food for their tables. Over 15,000 pounds of food distributed last week, keeping us on track to exceed the 700,000 pound goal for 2018. 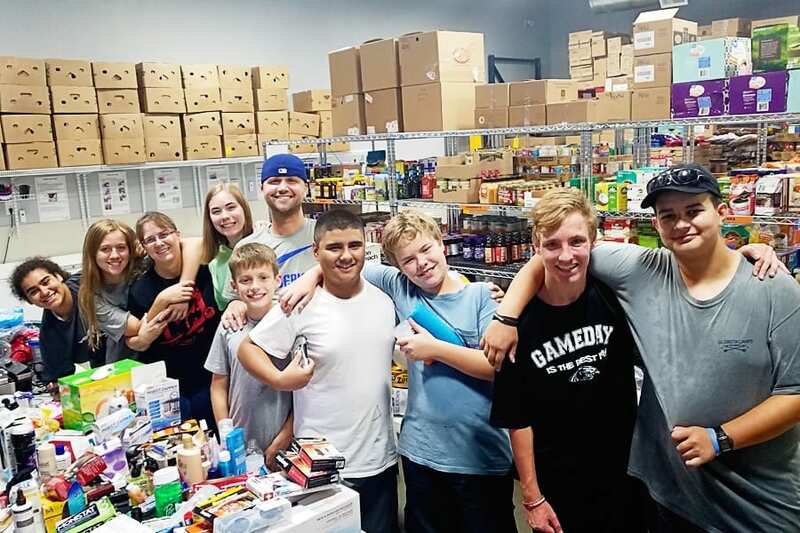 Many community groups take time to fight hunger together at Amazing Grace Food Pantry. Special thanks to: SSO Group from First Baptist Wylie, National Charity League and youth group from Five Stone Church for sharing the love of community! Not sure how you or your youth, church or corporate group can help in the Fight Against Hunger in North Texas? Call (972) 292-7241 to leave a voicemail message or use our Volunteer or Contact pages to get in touch… there is always a need. Meet Candace. Candace joined the volunteer list in December. I have volunteered at other pantries in Collin County in the past, but Amazing Grace Food Pantry ranks #1 in my book. They provide good food choices, food that people would want to buy for themselves if they could. The vibe here is awesome! It’s got a good family vibe, everyone is so nice. Reggie greets everyone with a big smile and makes clients feel welcomed and unashamed of their current financial struggle. This pantry has really motivated me to Pay It Forward in 2017!